Choisissez parmi une sélection de 11 locations de vacances en Arrondissement d'Uckermark. Utilisez le moteur de recherche sur la gauche pour affiner les résultats et trouvez votre hébergement sur mesure en Arrondissement d'Uckermark. 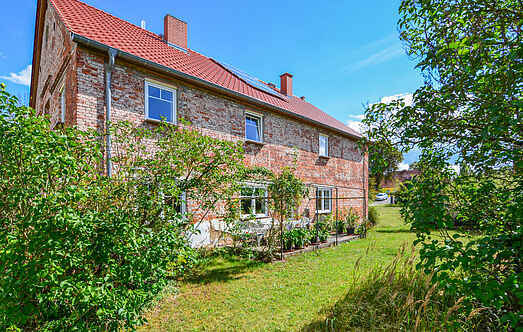 Nous avons une large sélection d'appartements de vacances en Arrondissement d'Uckermark parfaits pour les famille, des vacances romantiques ou en groupe. Vous préférerez peut-être plutôt une villa de vacances en Arrondissement d'Uckermark ou un appartement de vacances en Arrondissement d'Uckermark. Trouvez la location de vacances qu'il vous faut en choisissant le type de propriété dans le filtre. Filtrer les locations de vacances en Arrondissement d'Uckermark par zone spécifique en utilisant la liste des zones ci-dessus. This simple and functionally furnished apartment on the first floor is in a spacious former farmland on which you also find traditional listed buildings. 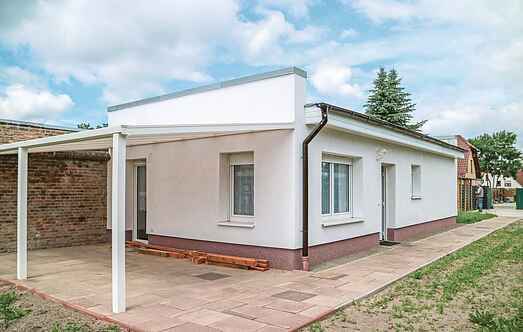 Spend your holiday in the beautiful Uckermark in Prenzlau. The house offers them everything you can imagine for a successful holiday, moreover, it is a short walk from the lake. This simple and functionally furnished apartment is in a quiet location on the owner’s property. The apartment is located in Templin district, Hammelspring. This simple furnished bungalow with a living room and built-in kitchen is part of a resort. It is located on Grand Warther Lake. This home is ideal for family holidays or fishing holidays. Mansion Lübbenow is located in northern Uckermark, approximately 90 minutes drive from Berlin. This property is a cultural and historical monument, built in neo-classical style. The charm of this medieval holiday home cannot be visualised from outside. Come in and take a journey through the middle Ages. Switch off from the madding crowd. This well-built and comfortably furnished bungalow located on the camping area is on an open property. The home is also near a lake. Row boat rentals are available. This compact and simple but suitably equipped holiday home is located on a large horse farm. It has a bedroom, small kitchenette, bathroom and a little terrace in the house. This holiday apartment is simple and functional and has two bedrooms, a bathroom and a combined living-kitchen area. This comfortably furnished bungalow is in a holiday resort with camping area near the lake. Row boat rentals are available. You will find these simple and functional apartments on a stable. It has 4 bedrooms, a large bathroom with several showers and two toilets and a living room-kitchen area.